The unique combination of branched chain amino acids and ornithine in one product! The highest quality and the effective support of the body in the fight for the best results! If you're like people from the team Gaspari Nutrition, you have to spend a lot of time to build your muscles. Regardless of whether your goal is heavy weight, superior strength, or simply want to look your best as you can, here you need perseverance. 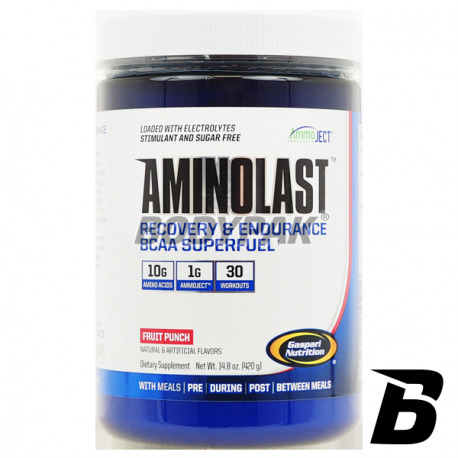 We know this because we spent over 24 months to create a dietary supplement Gaspari AminoLast. 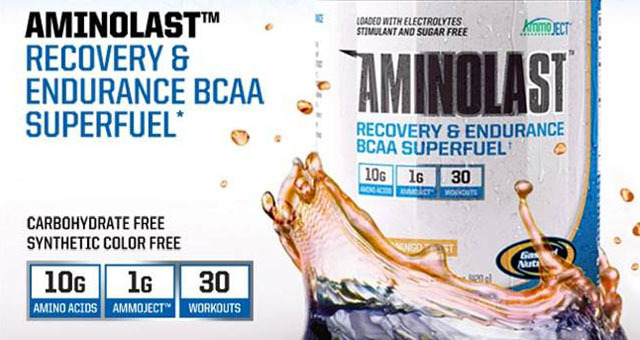 We have created amino acid product that tastes great and also brings something new to the market of sports supplements - a unique combination of branched chain amino acids and ornithine, which will help you achieve your goals! 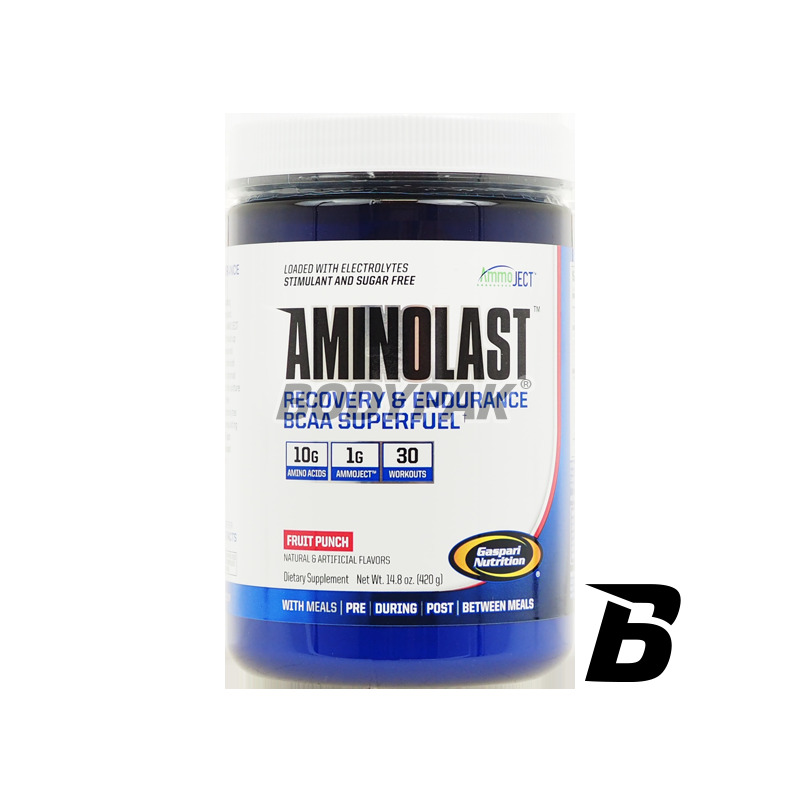 Using only the best ingredients, without the addition of synthetic dyes, we have created the perfect formula for the regeneration and increasing strength - a super fuel for your muscles Gaspari Aminolast. Inne składniki: kwas cytrynowy, kwas jabłkowy, lecytyna sojowa, naturalne aromaty, acesulfam K, barwnik: kurkuma (proszek).